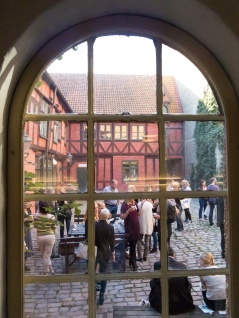 In the heart of the historic district, just five minutes' walk from Malmö Central Station, you'll find Sankt Gertrud Konferens. This beautiful neighborhood dates back to the 16th century and Sankt Gertrud will charm you with its cobbled courtyards, half-timbered houses and hollyhocks. But don't let the quaint exterior fool you – the inside offers all the modern conveniences needed for efficient meetings and conferences.